Often times, concerned parents will have questions about their child’s dental care. The American Academy of Pediatric Dentistry is the leading expert on pediatric dental care, so we have provided a link to their website. There, you can get answers to your questions, access many helpful resources, and learn about the latest policies to be approved by the AAPD. We all know that candy can cause cavities. We have been told by our dentists to brush and floss to prevent tooth decay. Your dentist is of course correct. However dentistry and the understanding of tooth decay has evolved. We no longer look at tooth decay and erosion as a simple model of “Don’t eat junk and brush your teeth.” There is an understanding now that there can be other contributing factors. Gastroesophageal Reflux Disease (GERD) has now been linked to dental erosion and caries. Very often, it is the “Silent Refluxers,” whose symptoms are not clinically evident, that are at the highest risk. In a recent article of the International Journal of Dentistry, a careful analysis of existing research and evidence confirms from a medical and dental perspective that reflux can play a role in dental erosion. Here’s how it works: As acid “refluxes” in the mouth it reduces the ph and causes the mouth to become more acidic. Saliva, our natural buffer, is not as effective and the acid destroys the “pedicle,” a protective layer on our teeth. When that happens, the enamel “erodes” away. This often presents itself as brown, “worn down” teeth. This erosion happens over time. This is also true in primary or “baby” teeth. A recent review of 17 studies found median prevalence of GERD with dental erosion was 32.5% of adults and 17% in children . Your pediatric or general dentist may be the first one to recognize this problem. They should be able to help guide you on preventative steps to help manage the problem of erosion associated with GERD. It is important to work together with your pediatrician as well to help treat this condition if necessary. Dental management may include in-office fluoride treatments, at-home prescription tooth pastes, pH testing of the oral cavity, as well as dental sealants. Sometimes a follow up visit with your physician is indicated. There is now a paradigm shift in diagnosing dental problems, and part of it is to appreciate our overall health and how it is often mirrored in our oral health. How do I prevent my child from getting cavities? Tooth decay doesn’t discriminate by age. It can affect adults, teens and even your infant or toddler. As parents, it’s our role to set our children on a path of good oral health. Cavity prevention is a vital part of that.When food remains on teeth, it is consumed by bacteria that are naturally present in the mouth. These bacteria convert the food into acid, ultimately contributing to the production of plaque, a sticky substance that clings to the teeth. The acids in plaque will harm the enamel of the tooth, creating cavities. Tooth decay is a serious problem and can ultimately lead to infection, pain and loss of teeth. Never put your baby to sleep with a bottle containing anything except water. Putting your child to sleep with a bottle containing juice or milk is one of the biggest culprits when it comes to early childhood cavities. Start to teach brushing habits once a tooth appears in your child’s mouth. Supervise toothbrushing. A child under two years old should not use toothpaste with fluoride. An adult should assist a child in toothbrushing until six years of age. Eating a balanced diet plays an important role in your dental health, too. Brushing and flossing help keep your child’s teeth clean and gums healthy, but good nutrition is necessary to help boost the immune system. When your immune system is strong, your child is less vulnerable to developing oral disease. A child’s eating habits can profoundly affect their dental health. Carbohydrates, sugars, and starchy foods such as cake, candy, bread, or pretzels can cause the bacteria in mouth to produce acids, which then attack the teeth. Treats are best provided at the end of a meal, when increased quantities of saliva can wash away their residue. Snacking between meals without brushing afterward gives bacteria a perpetual source of fuel to feed on. 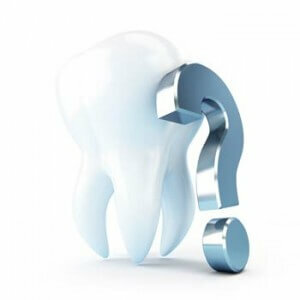 This leads to the development of plaque and eventually tooth decay and cavities. The American Association of Orthodontists recommends that every child have an examination by an Orthodontist at the age of 7 to ensure problems are diagnosed early and opportunities to limit the severity of later problems are not missed as the permanent teeth and jaws develop.